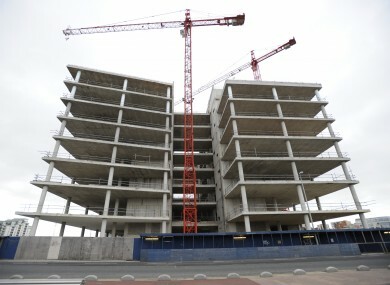 Almost 24,000 commercial properties in Ireland are vacant, with the highest rates found in Sligo and Leitrim. THERE ARE NOW more than 20,000 business properties lying vacant across the country, a new report has found. A total of 11 per cent of Ireland’s commercial premises are now recorded as vacant out of a total of 226,622 nationally. The highest rate of vacancies are in Sligo and Leitrim, which each have 14 per cent of all commercial properties lying unoccupied. Meanwhile Dublin has both the highest number of commercial properties (at 49,760) and also the largest number of vacant units (5,851). The figures were compiled by GeoDirectory, a database set up by An Post and Ordnance Survey Ireland. Eight counties had a vacant rate above the national average of 11 per cent. These counties were Carlow, Donegal, Dublin, Galway, Leitrim, May, Roscommon, and Sligo. Rob Kitchin, a professor of geography at NUI Maynooth, said that 11 per cent is a high rate of vacancy. “It should be 5-6 per cent,” he wrote on Ireland after NAMA. “We can try and put a positive spin on this and say 9 out of every 10 commercial units is occupied, but 11 per cent is nevertheless an oversupply”. Kerry recorded the lowest rate of vacant commercial buildings with 7 per cent of units identified as empty. Little Island in Cork recorded the highest number of vacancies of any town in Ireland with a total of 244 businesses left vacant. It was followed by Dublin 17 (156) and Claremorris in Mayo (126). Dara Keogh, the CEO of GeoDirectory said the figures were representative of a national trend. GeoDirectory released figures in July which found that 12 per cent of new residential and commercial buildings were vacant in the first six months of this year. Email “More than 1 in 10 business properties are lying empty”. Feedback on “More than 1 in 10 business properties are lying empty”.